I found your talk at my college to be an extremely insightful experience into the prison system and it has seriously deterred me even more so than I actually was from committing a crime as I would not want to ruin my life's chances (if I may put it that way) and the picture painted in my head about prisons is a very powerful one. I just emailed to thank you for this experience that I won't forget and I wish to ask a question or two. 1. Although I recognise that you would change a lot about the prisons, what is the main thing you would wish to change. 2. 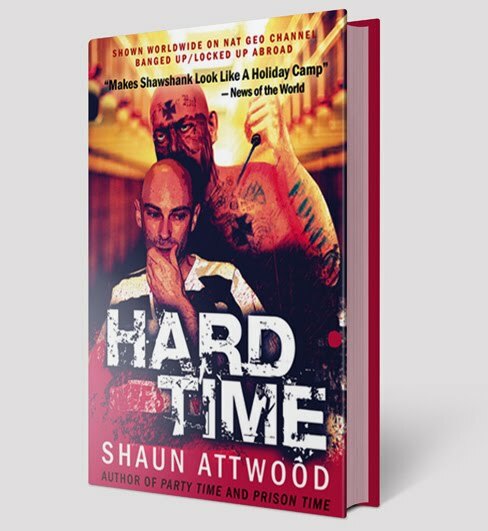 After hearing the news about T-Bone would it be possible after a potential sentence is past if it goes that far, for T - Bone to be brought to a UK prison if necessary, if someone were to contact personnel within the American Embassy, as he would be able to give students an insight into modern prisons and give possible comparisons between UK prisons and US prisons, would that be possible? 3. When did you get released? 1 The main things I would like to see changed are the illegal conditions and guard brutality. Human rights state that inmates should receive over 1000 calories of food they can eat per day, medical treatment, sunlight and recreation, that they shouldn’t have to sleep in insect infested environments, and the guards shouldn’t be murdering them. In Phoenix, Arizona, it’s the guy at the top, Sheriff Joe Arpaio, who’s responsible for violating all of these human rights, and creating an extremely dangerous environment. A big change I would like to see is for him to not get re-elected. Jail shouldn’t be easy, but neither should vulnerable inmates be getting murdered by gang members and guards. People find it hard to believe this stuff is going on, so I direct them to the video evidence. 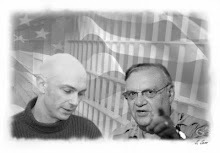 The maximum security Madison Street jail was shut down 2 years after I started this blog, but Arpaio opened a new high tech house of horrors down the street, and he is the boss of 6 jails in his system, so all of this stuff is still going on. 2 T-Bone and I would like nothing more than for him to be able to get a passport and to share his experiences with young people in schools in the UK. Regarding transferring him to a UK prison, that’s not possible. Arizona will make him serve all of his time in Arizona, and as he isn’t a UK citizen nothing can be done. I spoke to T-Bone’s wife on the phone in Arizona. She said T-Bone allegedly went back to cocaine and has allegedly committed crimes to get money for drugs. Because he is considered so dangerous due to his fighting skills, it took 30 cops with riot shields and shotguns to arrest him. They even put a shotgun to a neighbour lady's head, and asked her if she knew T-Bone. T-Bone has decided to take his case to trial. All we can do is wait the situation out now, and hope that he is released soon, or if he loses the trial, that he gets a short sentence. Thanks for your questions, Andrew. Take care out there! Thank you for your reply. I wish you never had to go through what you did, but I am grateful that you took the time to come in and talk to us and your story will influence me throughout my life and once again I thank you for it. The answers that you have given me have furthered the insight I have about how unjust the "justice" system is in the US, and partially of what you have told us about the UK. It also shows how much power prisons have vs the governments, it is wrong that they should kind of rule over the government. The whole justice system needs reforming, but unfortunately no one in higher authority listens to the general public unless they can make money from it, which again is a shame. I've seen two of the video's and it furthers my beliefs and what I just said. Thank you for taking the time and effort to reply to me, it’s good to see that society does have people like you that young people will listen to and take heed of what you say, thank you again.